Since September last year Ryanair has headlined the most scandalous flight disruptions in its history. Starting from the 2000 cancelled flights last autumn to the current cabin crew strikes right in the middle of summer holidays, poor management practises at the largest Europe‘s LCC have finally started to come to the surface in the worst way possible. Last September, Ryanair was the first airline to be struck by the worldwide pilot shortage. Messing up in the planning of pilot holidays, the carrier cancelled 2000 flights affecting more than half a million of its passengers. Yet, in spite of the wave of cancelled flights and EU261 compensations possibly reaching up to 25 million in pay outs in November, the airline reported that its profit in 2017 has increased by a solid 11%. Management must have believed that they can keep their low personnel costs under control, until pilots in Ireland, Germany, Portugal, Spain and Italy have threatened a strike amid winter holiday season. A grand rostering failure paved the way for staff mobilization and a potent collective demand. Pilots and cabin crews across Europe made Ryanair recognize unions for the first time in its 32-year history. 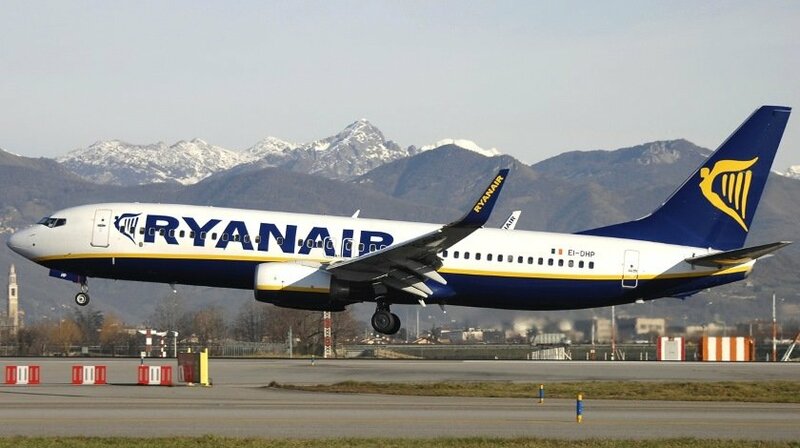 By April, 2018 it was clear that although pilots were given the right to be represented by unions, Ryanair was not taking their demands seriously. Besides pay rise, most of the pilots complained about current pilot transfer system between European and African bases negatively affecting family life, while cabin crews expressed worries over disciplinary actions for missing on-board sales targets. After a long row of failed negotiations lasting from April to July, Ryanair pilots and cabin crew announced strikes. 100 out of 350 Irish pilots that are represented by Irish Air Line Pilot‘s Association (IALPA), staged a 24-hour walkout on the 12th of July. In turn, Ryanair had to cancel 30 flights. Further walkouts are planned for 20th, 24th – 26th of July and will affect around 60 thousand travellers. In just four days, Ryanair‘s unwillingness to reconsider its management practices will cost tens of million euros for its passengers in holiday reservations, hotels, tours, meetings, etc. „Ryanair is boasting of its rising profits, but it seems that company’s financial lapses might be covered by underpaid employees and cancelled summer holidays of their clients. Such irresponsible management practices cannot last any longer. We firmly believe that only a well-rested and satisfied crew can ensure safe flights for 130 million travellers that Ryanair serves per year,“ says Marius Stonkus, the CEO of flight compensation company Skycop. Just few days after pilots’ strike in Ireland, Ryanair launched a sales campaign with some of the flights costing below €10. „Once again it seems that Ryanair will do everything to meet their financial targets. Its staff is crying out for a better work conditions, but as for now, indifference is the only solution that O‘Leary has to offer,“ comments M. Stonkus. In total, July strikes are set to disrupt flights for around 65 thousand passengers, but the current EU law falls short to protect the afflicted. „Because strikes are treated as „extraordinary circumstances“, Ryanair will not have to pay up to €600 moral compensations for the disruptions and even if they would, it would not cover for all the moral and physical harm that Ryanair passengers are undergoing these days. We urge everyone to check their flight status and remember that airlines are obliged to take care of every passenger in case of a 2 hour delay – serve meals, refreshments, provide access to the Internet and, if needed, accommodation,“ says M. Stonkus.